First came the cattle and the men who brought them into a wilderness inhabited by poisonous snakes, deer, jaguars (tigres) and pumas (onzas). The first families were named Escomilla and Luna. The Escomillas came from San Pedro Juchatengo, just north of Nopala. Their son, Carmelo, was born in the Bajos de Chila in 1914, and died in Chila 94 years later. His son-in-law, Andrés Carbajal, reports that it used to take eight days to travel to Oaxaca by horse. By 1942, Chila was an Agencia Rural with simple houses connected by paths cut through the underbrush. That is the memory of Lino Burán Pacheco, who moved here with his family from San Pedro Mixtepec at age 14. The family grew corn and sesame and raised cattle. Merchants with mules would come from Miahuatlan to trade metates (mortars for grinding grain and seeds) and other goods and produce for cattle. 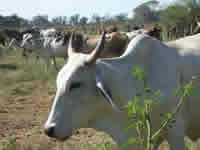 Cows were also traded for produce and coffee beans with people from Nopala and San Gabriel. 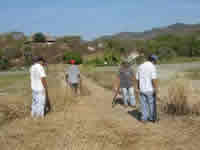 Others came from San Pedro and Nopala to work in the cotton plantation which was developed by an investor from Guerrero. (The plantation closed around 1980, the victim of a blight.) Most of Chila’s 4,000 inhabitants are descended from settlers who came here in the 1940s and 50s. The salt works near the Manialtepec lagoon opened in 1945, and people came from the mountains to trade panela (a sugar cane derivative), chickens, plums and coffee beans for salt. (In those days, the coffee plantations paid their workers with coffee beans.) At its peak, don Lino reports, 35 people worked processing the salt. A fish farm is now being developed by an 18-person cooperative where the salt works used to be. 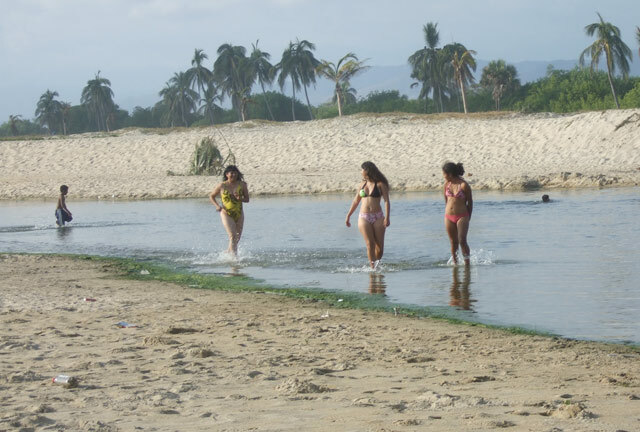 As before, the water enters from the sea through the lagoon of Manialtepec. Although there is no water in it now because of natural blockage of the ocean into the lagoon, during the rainy season it will be flooded and full of shrimp, crab (jaiba), sea bass (robalo), and black, white, and red sea bream (mojarra). The University of the Sea (UMAR) has an experimental agricultural station near the salt works on 8 hectares donated by Chila in 2002. The station features an iguana hatchery, turkeys, ostriches (a gift from a Huatulco veterinarian), and sheep. In one experiment turkeys fed on table scraps from a day care center are compared with turkeys given commercial feed. Table scraps beat commercial feed. 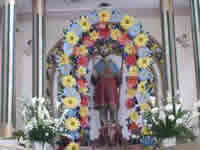 San Isidro the Worker (San Isidro Labrador) has been the patron saint of Chila since his statue was brought here from Oaxaca in 1953. It arrived in a small airplane which landed on what is now the soccer field near the church. In 1953 there was no church and the statue was sheltered in a straw and adobe hut. The priest lived in Nopala and would travel to San Pedro and Chila by horse. 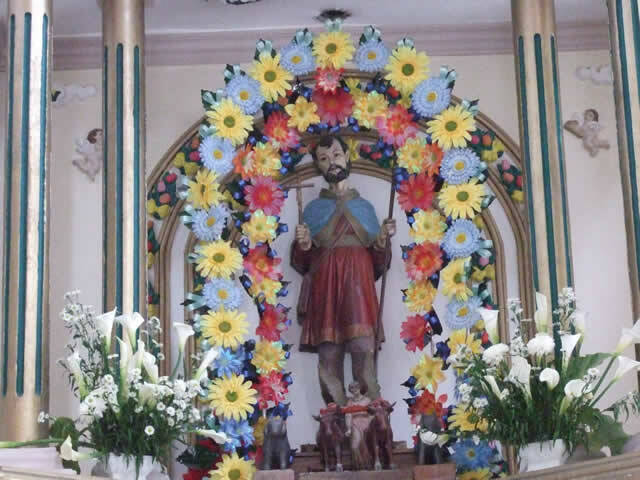 May 15 is the traditional date for celebrating San Isidro, but the priest and the people of Chila agreed that this was not an opportune time. 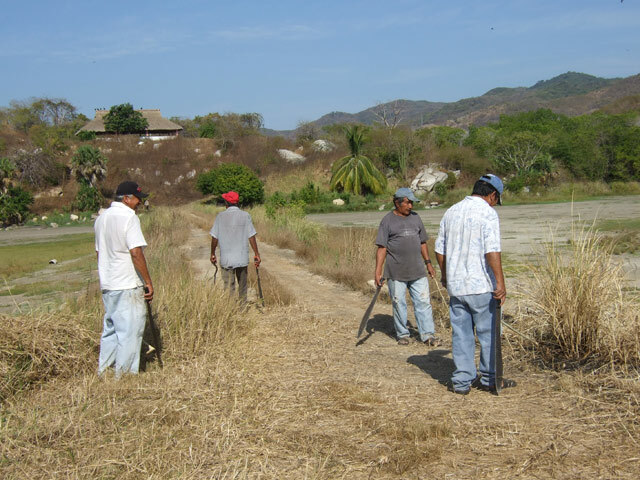 The best time for a fiesta is after the crops are harvested, not when they are planted. So here San Isidro’s day is February 15.